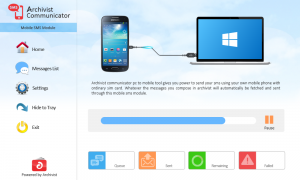 If you have subscribe to send messages through own mobile phone/device then you need Communicator Connection Utility. This utility takes messages from Archivist Server and send them using your local device. Click following link to download the utility.